Are You Or A Family Member Eligible For Medicaid's Personal Care Services? If you or your family member has a physical or developmental disability, cognitive impairment, or chronic condition and need help with Activities of Daily Living (ADLs), then you may be eligible for Medicaid's Personal Care Services (PCS). There are a number of requirements you need to meet in order to apply for this program. You must currently be receiving Medicaid benefits or in Medicaid pending status (that is, you've applied for Medicaid) in order to apply for Medicaid's Personal Care Services (PCS) and live at home or in a qualified facility. A qualified facility would be a licensed adult care home (ACH), family care home, 5600a and 5600c supervised living home, or a combination home with adult care home (ACH) beds or in a group home. See NC Medicaid for home qualification details. You need assistance with at least two of the qualifying activities of daily living (ADLs): Bathing, Dressing, Mobility, Toileting, and Eating. You don't have an available, willing, and able household member who can assist with the covered activity of daily (ADL) tasks on a consistent basis. You must be able to function in your home safely. 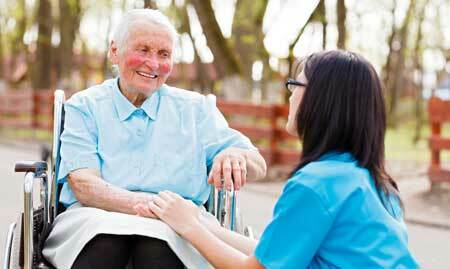 You must live in a home environment that is safe for both yourself and for your In Home Care provider. Next, you'll need a referral from your primary care physician, nurse practitioner or physician's assistant. If it's been more than 90 days since you've last seen your medical provider, you'll need to schedule an appointment before you can ask him or her for a referral. Your physician will complete the DMA 3051-PCS Request for Services Form with your medical history and what is limiting your ability to independently perform activities of daily living. In order to be eligible for this program, your medical provider needs to certify that you are medically stable. Medically stable means that you don't require continuous medical monitoring or changes in treatment for potential complications. Your medical provider is also certifying that you do not require monitoring, supervision, or ongoing care from a licensed health care professional, such as a registered nurse. Once your medical provider completes the DMA 3051 PCS Request for Services Form, he or she will send it to Liberty Healthcare of North Carolina. Liberty Healthcare is an Independent Assessment Entity (IAE) and is responsible for evaluating requests for personal care services. READ THIS NEXT > What To Expect When You Apply For Services.